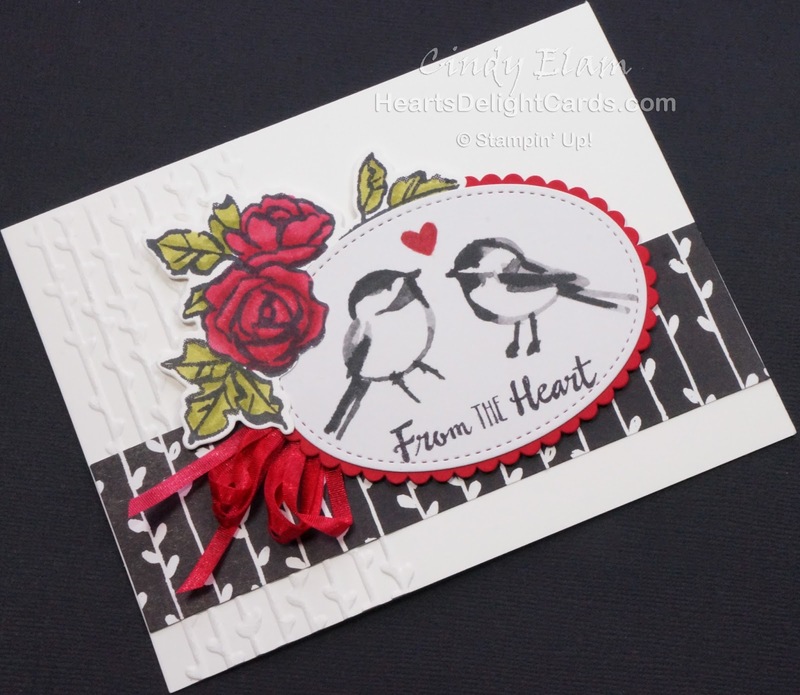 Heart's Delight Cards: Finishing With a BANG! 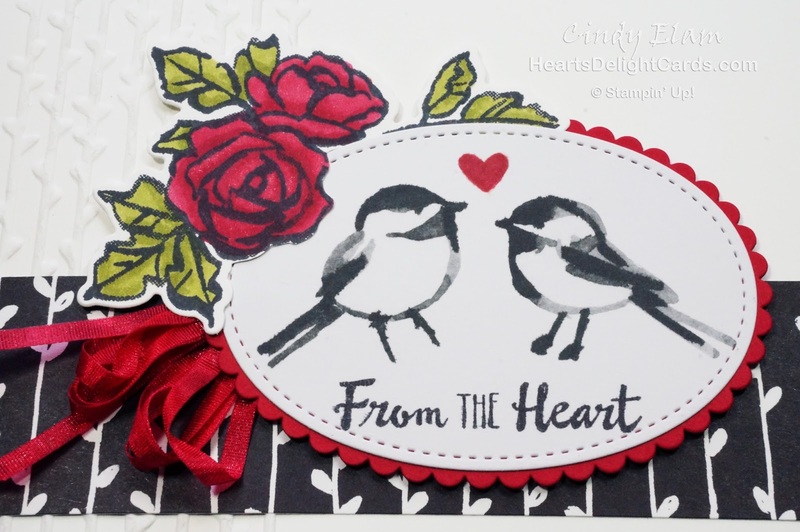 There are only TWO weeks left of the amazing 2018 Sale-A-Bration, and Stampin' Up! 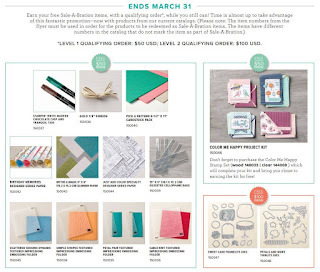 has added even more items to be redeemed with a qualifying order! To see the latest additions, click the flyer below. The Thinlits!!! Mr. Big and I are very happy to see the Thinlits added, as well as the embossing folders. I used the Petal Pair embossing folder and the Petals & More Thinlits on this card. Aren't the birds adorable? They are in the Memories & More card pack that coordinates with this whole suite. 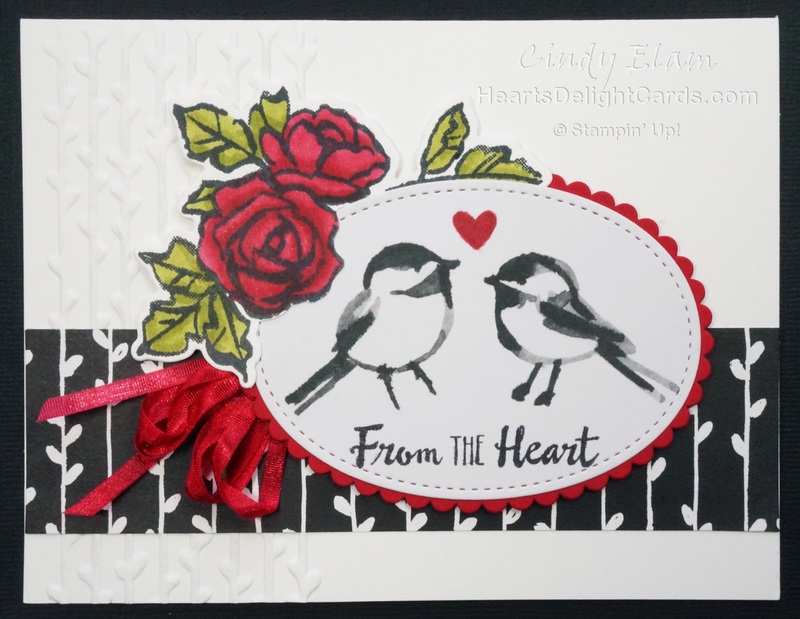 I colored the roses and the heart between the birds with Stampin' Blends. Oh, and on top of that it's getting to be time to get the garden ready for the new season. There were a lot of dead plants that needed to be removed, and the weeds are already popping up! Yesterday I got the first sowing of Sugar Snap peas and spinach planted. It felt so good to be outside in the sunshine! It wasn't even cold and windy - BONUS! Today we're supposed to have rain and possible thunder storms, so the only planting I'll be doing is starting some seeds in seedling trays. Have a great weekend, and stay away from that green beer! Labels: Heart's Delight Cards, Petal Palette, Sale-A-Bration 2018, Stampin' Up!